Years ago I worked at one of my favorite jobs ever. While I loved my job and the team I worked for, I was having this internal push to create the next level of my work experience. I knew one thing, I wanted more. I wanted to be involved in the company on the next level. I could see myself working for this company for many years and so I needed to embark on a journey to figure out what it looked like working for the company as a long-term career. 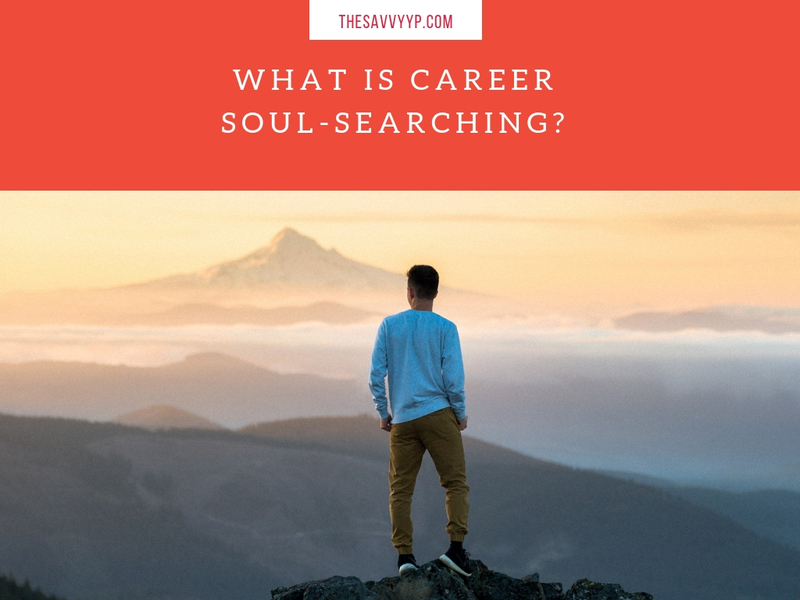 I always think about this journey because I think about where I’m at now, and how advancing in my career involved me asking some tough questions and doing some career soul-searching. So how does one do a deep dive and find out what and where the next level really is? Here are 5 ways to discover your next careers steps. Think about how you want to feel. In Daniell Laporte’s book Desire map, she talks about the idea of ditching the goal list and focusing on how you want to feel. Is it job security that you’re going for? Is it a sense of freedom that you’re longing for in your next gig, or maybe even pride in the work you do. Focusing on how you want to feel will stop you from going on a job hunt and open up to the journey of finding a career fit. When you are on a soul searching journey, the world around you starts to look different. Your heart is open and your mind is on fire with new ideas and energy. Take some time to try something new while you have a different view. Interested in becoming the next Bobby Flay? Take a cooking class. Always wanted to film a documentary? Take all off those family videos on your phone and make mini-movie about your family adventures. Get into all of the things you’ve wanted to do but never found the time to explore. Just go, and soon you will be clear on your next career step. This is probably my favorite thing to do when I’m searching for answers. Writing is a release of energy and emotions. You can start by writing a list of things that bring you joy or even a list of things that you can’t stand about your current job. whatever it is you choose to write about, make an effort to commit to writing at least 10-15 minutes a day. releasing your thoughts to paper will give you a chance to reflect without interruption. Clearing up this mental space will serve you in your journey to career success. When you are on an exploratory mission getting caught up in searching can become the one thing that holds you back. How is it that the one thing you are supposed to be doing (searching) can turn into the one thing that can keep you from discovery? Because at some point, you will have to decide on your next move. Yes, step one through four are important and necessary for discovery however we must still move forward in making something happen. Take your time but give yourself a realistic deadline on when you are going to take next the next steps in your career. I gave myself 6 months before something had to change. Your time might be different but set a date! The path to career success is not always easy but with focus and intentional decision-making, you can find your way to exactly where you want to be.